Since the full moon was just a couple days back, we’re still feeling the effects of it on the ocean, with our low tide still being super low. This is caused by the gravitational pull of the moon, and we refer to this phenomenon as Spring Tide. Spring tide occurs every full and new moon, and this causes us to have to launch out of Gansbaai which is a much deeper harbor. 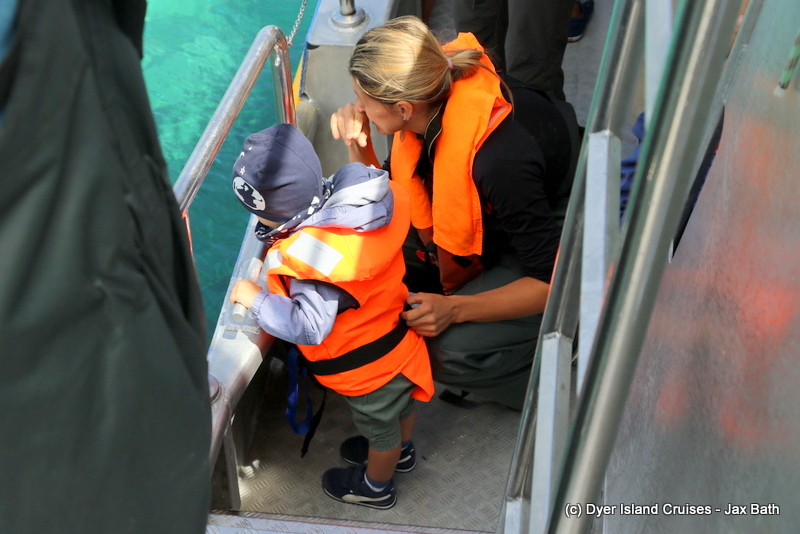 We set out at 10:00, travelling close to the edge of danger point and making our way straight towards the shark cage diving boats so that we were able to spend a bit of time hanging out with the Coppers in The Shallows. 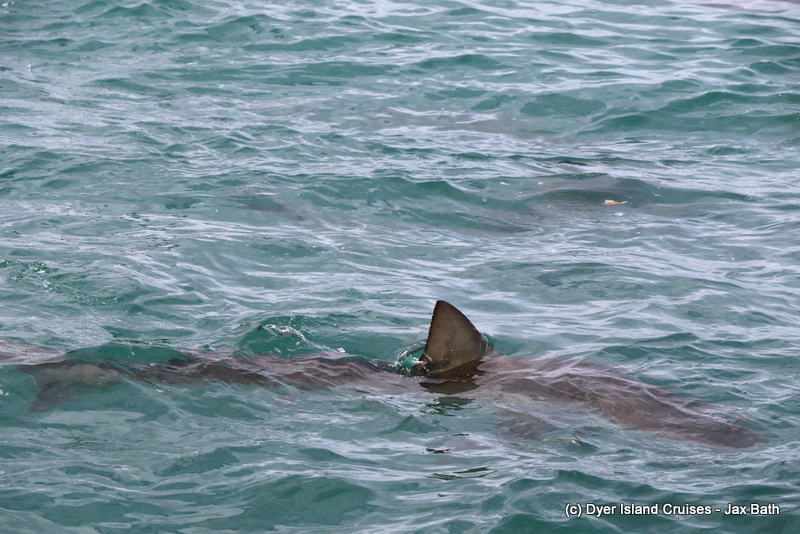 We were in luck, arriving to sharks of a variety of colours and sizes, all very active around the front of the cage. We spent a few moments here taking in the beautiful sight of this schooling species before it was decided that we might have a look along the beach to see if we could find any of our wildlife here. 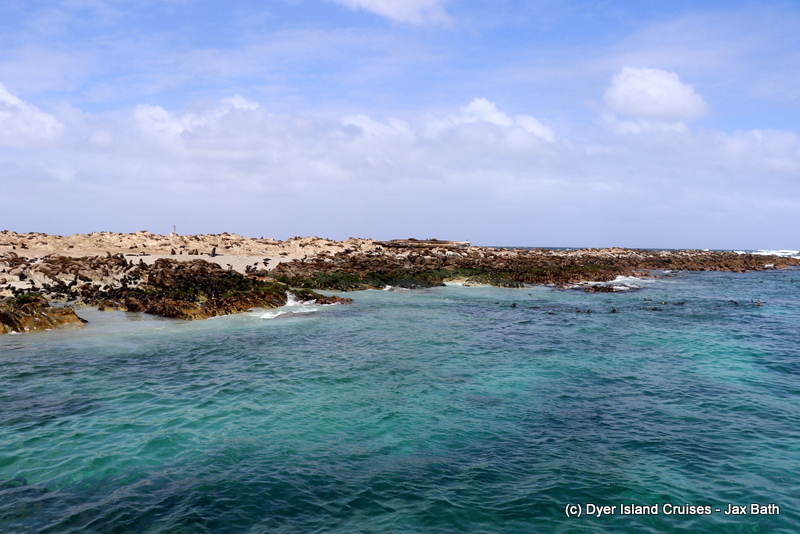 We did, in the form of a lone African Penguin who was most likely feeding along the reef systems along the coast. 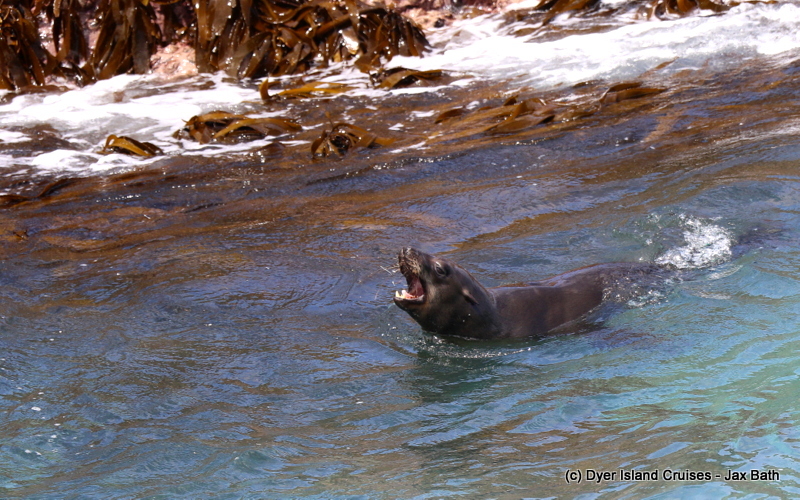 After watching this little died, we made our way towards his home at Dyer Island where we went searching for more Penguins in Sponge Bay. With our trusty binoculars, we were able to find them and point them out, taking in the sights, sounds and smells of the island before heading into Shark Alley. 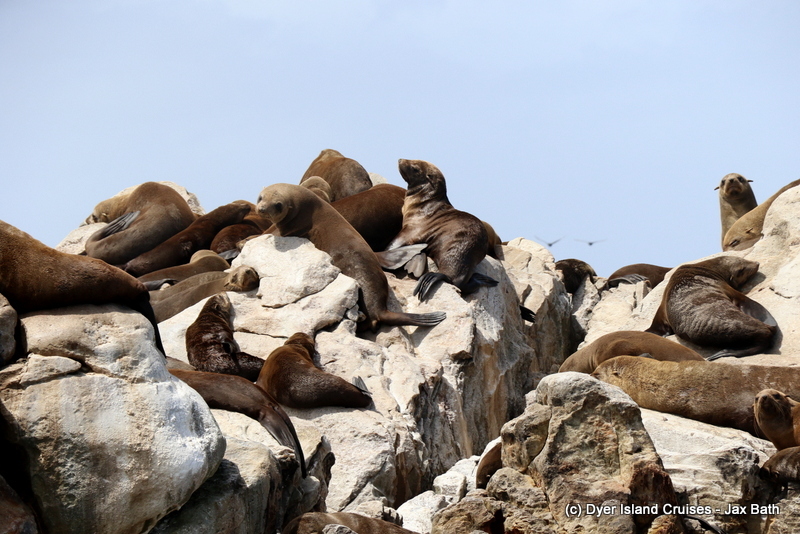 Here, we moved up and down the channel, spotting some seals in the water and watching with awe as the made our way along our buzzing colony. 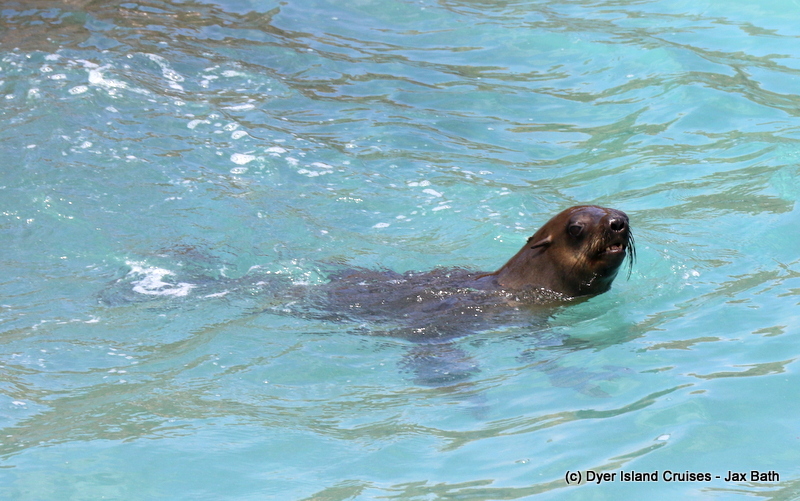 The Cape Fur Seal is South Africa’s only endemic seal species, with the global estimate for this species being over one million animals. 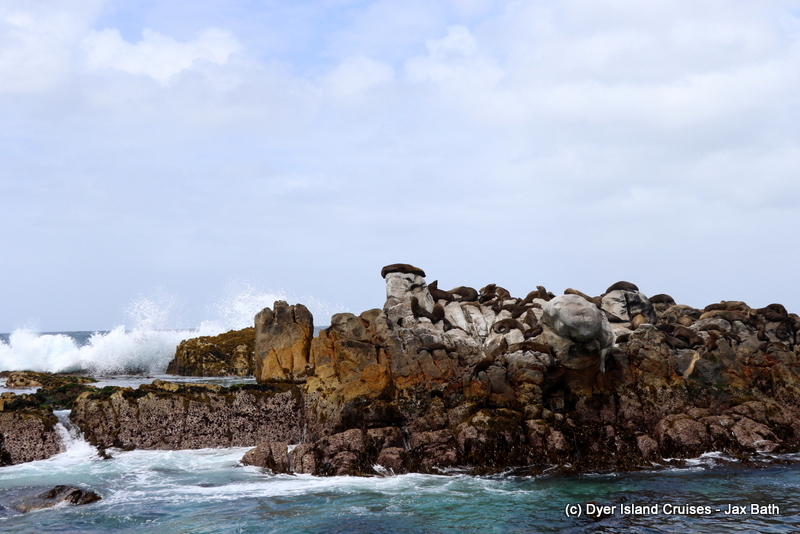 Once we had travelled the length of Geyser Rock, we took a stop at Hospital Rock before heading t the back of the island where we saw some birds feeding on some fish. We had some Cape Cormorants, a variety of Terns, Cape Gannets and even some Corey Shearwaters about. With all the action, the Arctic Skuas could also be seen, badgering the other birds in an effort to get them to regurgitate their meals, so that these pesky birds could claim some food for themselves. We then set our course back to Gansbaai Harbor, where some Ginger Ale lay waiting. Hospital Rock at Low Tide. One can clearly see the tidal difference here. Here on can clearly see how these sharks get their name. 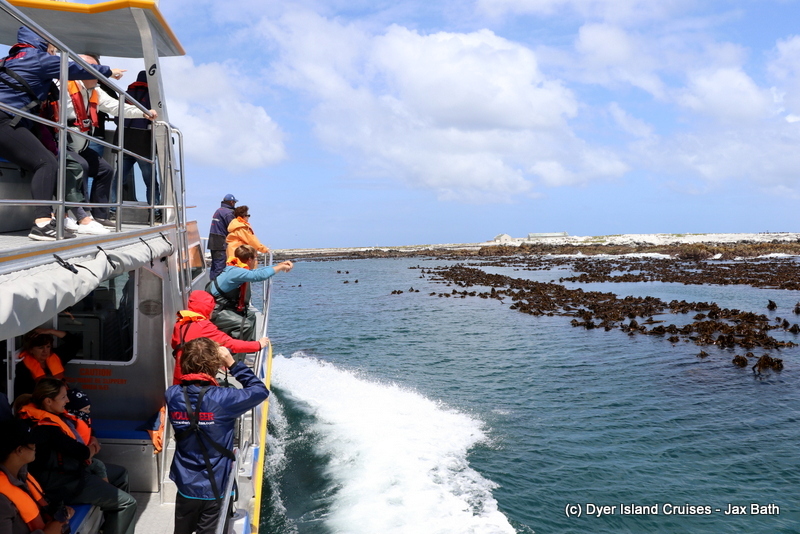 A trip into Sponge Bay. 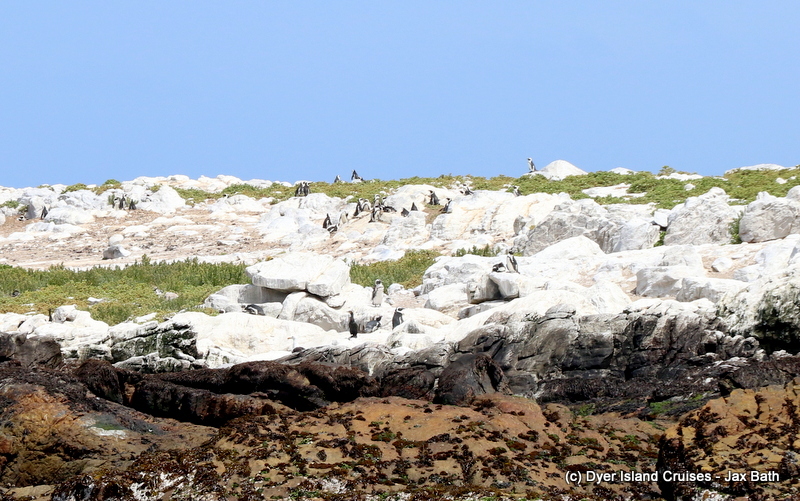 Some African Penguins on Dyer Island. 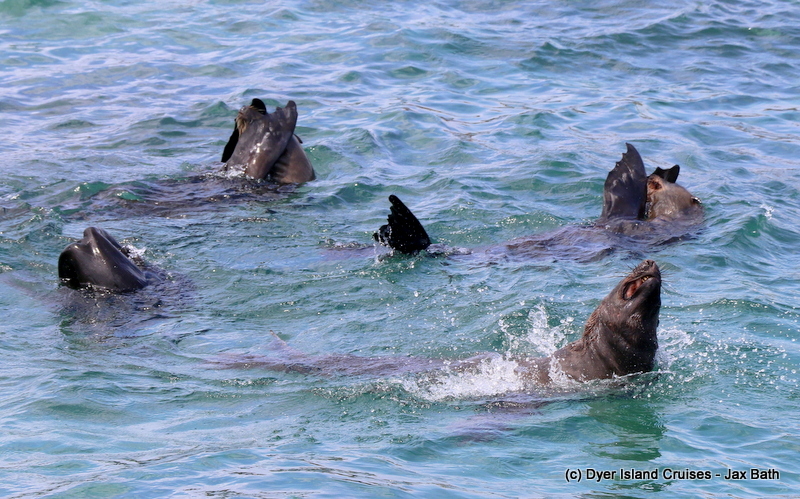 Cape Fur Seals having fun in the water. 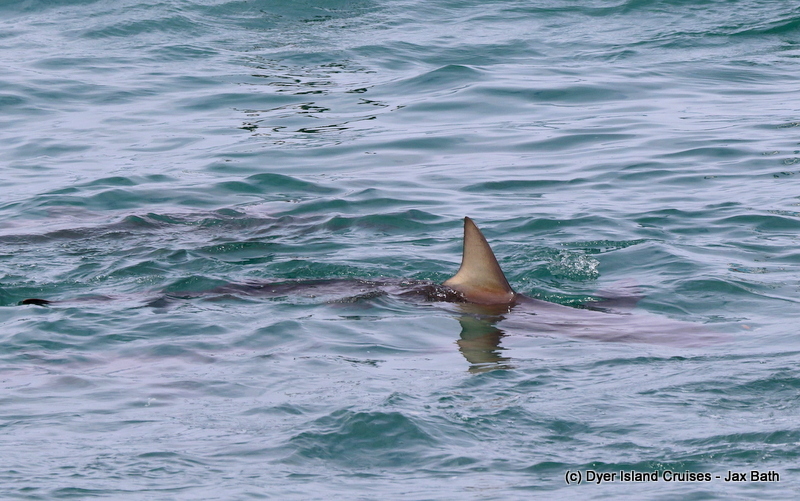 Shark Alley, with beautiful visibility. Checking out the bottom of the bay. 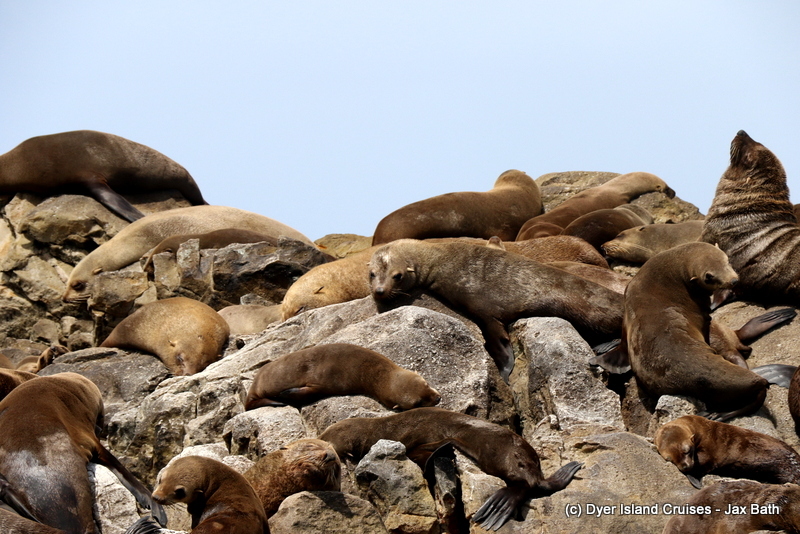 A close up of some pinnipeds. A seal about to sneeze.